Turn Your Pet Selfies Into $25 Petco Gift Cards! Have you ever hopped on Instagram and thought that it would be so much better if it had less food pictures and more pictures of pets? Well you’re in luck because Petco just launched their first app and it’s exactly what we’ve always wanted in a social media platform – it’s all about photos of our pets! With the Heads & Tails app, available here in the App Store, your pet is truly the star. There are very few requirements for using the app but one thing is clear – all pictures have to feature a human and a pet. 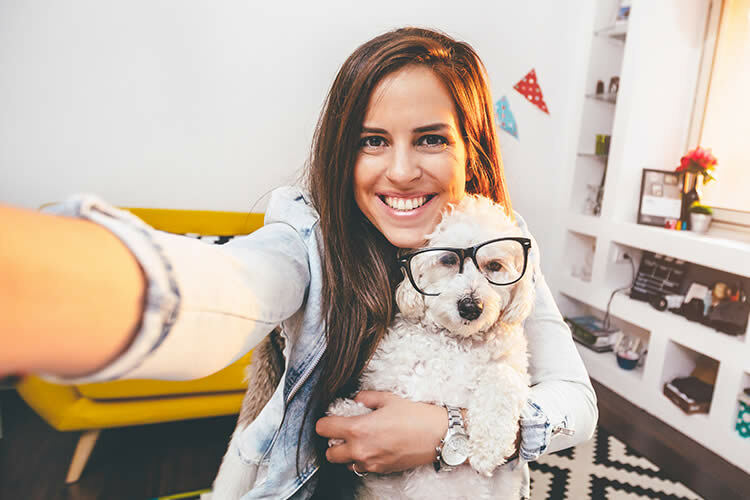 Although the app actually calls for “selfies” of you and your pet, they give the OK to post a picture if it’s not technically a selfie as long as – you guessed it – the picture features a human and a pet. When you post a pic in the Heads & Tails app, a countdown begins. You have until the end of the month to get 100 likes on your pet’s picture. After you’ve gotten 100 likes on your picture, you’ll get two rewards. 2. The second reward is what really gets our animal-obsessed hearts pumping – a $25 donation made to the Petco Foundation. The Petco Foundation supports animal rescues nationwide and was most recently in the news for their commitment of $2.3 million dollars to South Texas and Louisiana animal welfare organizations following the aftermath of Hurricane Harvey. So what are you waiting for? Not only will the Heads & Tails app be the perfect place to proudly display all of your pet selfies, it’s also a great way to get a little extra spending money to spoil your pet. And while you’re at Petco with that easily earned $25, you can feel good knowing that you helped to make a $25 donation to a foundation saving pets’ lives all across America. Now that’s a win-win-win. Sara Stuart is a lifelong animal lover with a passion for rescue pets. Sara lives in Los Angeles, California with her family, including the head of her house – an adopted Corgi mix, Buddy Cruiser.